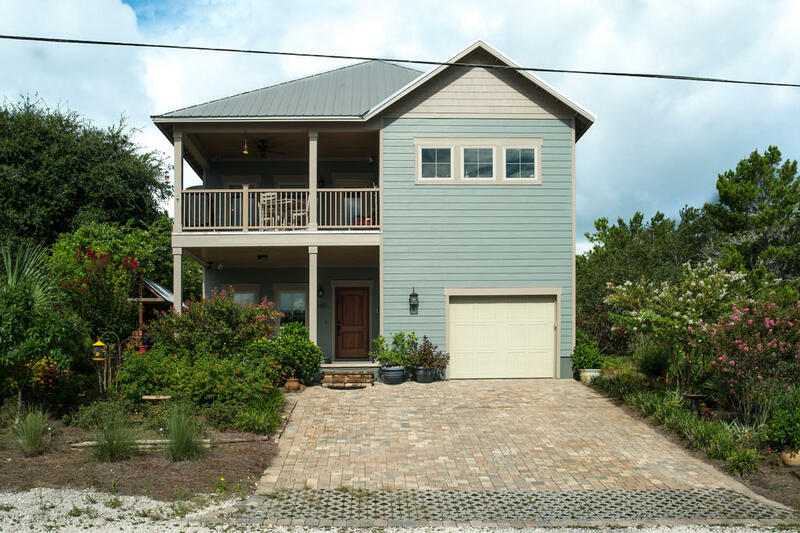 This immaculate two story craftsman home has great views of the Gulf from the living areas. Built to exceed state building and wind codes as a high-end builder's personal home, including an elevator, a whole house generator, and a gas tank-less hot water heater. The lower level is about 21' above sea level, in an X Zone. Large Gulf facing porches at both levels with a breeze almost every day. This home has high end finish, with solid white oak floors, cypress ceilings, and cypress ship-lap walls in the main living areas. Lots of built-ins, with craftsman style wood trimmed windows throughout. Gourmet kitchen with custom solid wood cabinets, 5 burner 2 oven stainless 42'' gas stove, stainless refrigerator and dishwasher, 2 sinks, granite countertops. Less than 1000' to beach!!!! !